Travelling the world today is arguably the most comfortable it has ever been. And it comes with few raised eyebrows that the long-haul travel market is dominated, without a shadow of a doubt, by the airlines. In 2017, National Geographic reported that air travel is predicted to over the next 20 years. In the same year, Forbes reported that within just 12 months more than a staggering four billion passengers travelled by plane, which set a new record. But with slower forms of travel, such a luxury cruises and iconic train carriages, making their return in popular demand, airlines are having to adapt for the luxury market – and each other – in order to welcome guests into suites in the sky. In 2014, jaws of #avgeeks on Instagram and beyond dropped to the floor when Etihad launched its unrivalled three-room Residence on board its Airbus A380, single-handedly taking first-class experiences in aviation to new heights, way above what any of its competition could offer. The suite comes complete with a living room which can seat up to two passengers, an extra-wide ottoman for storage, a 32-inch TV, a private bathroom and its very own private bedroom. For the first time in history, although other airlines had falsely claimed before, passengers with deep pockets could pay for the hotel experience in the air as their mode of transport during long-haul travel. Since that monumental moment in aviation design, airlines have tried, with mixed reviews as to whether they have succeeded or not, to go one-better in order to further raise the altitude of creativity in the industry. In 2017, Emirates unveiled new cabins for its Boing 777 fleet, which were inspired by Mercedes Benz. Of course, this isn’t the first time the automotive industry has partnered with the hospitality industry. In 2014, the hotel brand Starwood Hotels & Resorts partnered with Bentley to unveil the dynamic interiors of The Bentley Suite at the St Regis Istanbul. 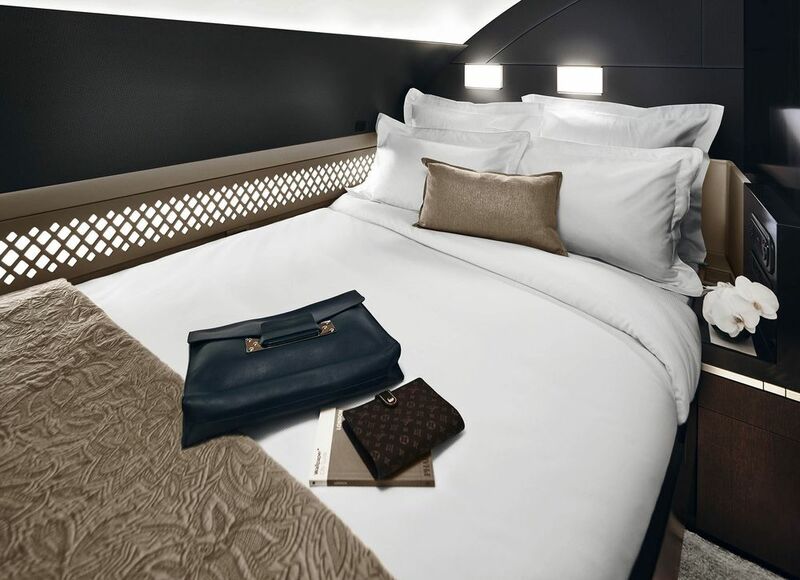 Similar to the hotel, the new Emirates suites feature sleek design with a blend of soft creamed leathers and padded noise-cancelling walls, allowing passengers the luxury and privacy of 40 square feet of personal space. Colour within the design of these so-called suites in the sky too reflect timeless luxury, which continues to be a look that hotel designers are striving to achieve. While many hotels chose 1920s inspired Art Deco to achieve this look, Emirates opted for a palette of soft greys, cream and Champagne, conveying a contemporary feel that is open. Etihad on the other hand settled for opulent brown leather sofas and calming dark purple walls in the bedroom area. 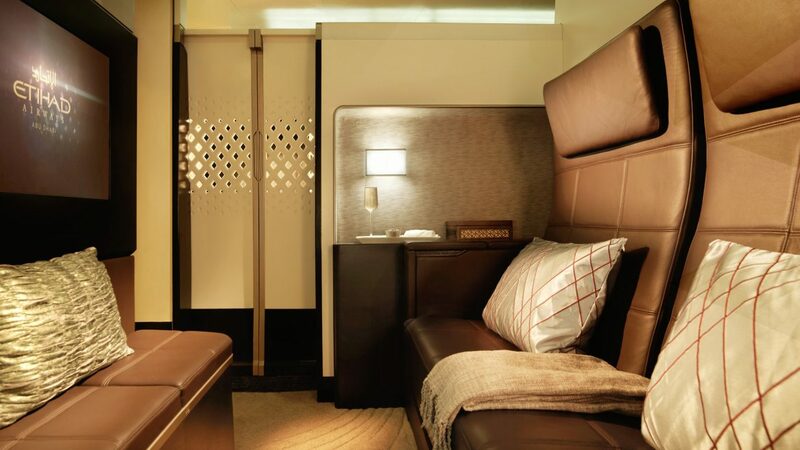 Imagined by French luxury yacht designer Jean-Jacques Coste, the individual cabins in Singapore Airlines’ suites are finished in cream and brown, and accented with leather and wood to create a cosy, homely atmosphere. Each cabin features a sliding door and window blinds for more luxury and come complete with a chaise lounge and large table. Considering it has just launched the world’s longest flight, which will be 17 hours and 52 minutes, from Singapore to New York, the suites are designed in such a way to provide maximum comfort over long periods. 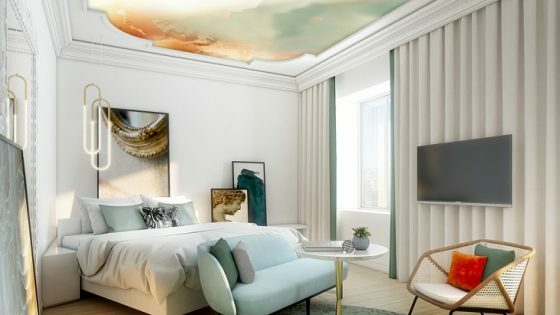 Bi-level suites have become a popular novelty for many hotel designers around the globe, but will this playful interior that provides a solution to many hotels that are wanting to set themselves aside from their competitors, become a reality in the future of aviation travel? 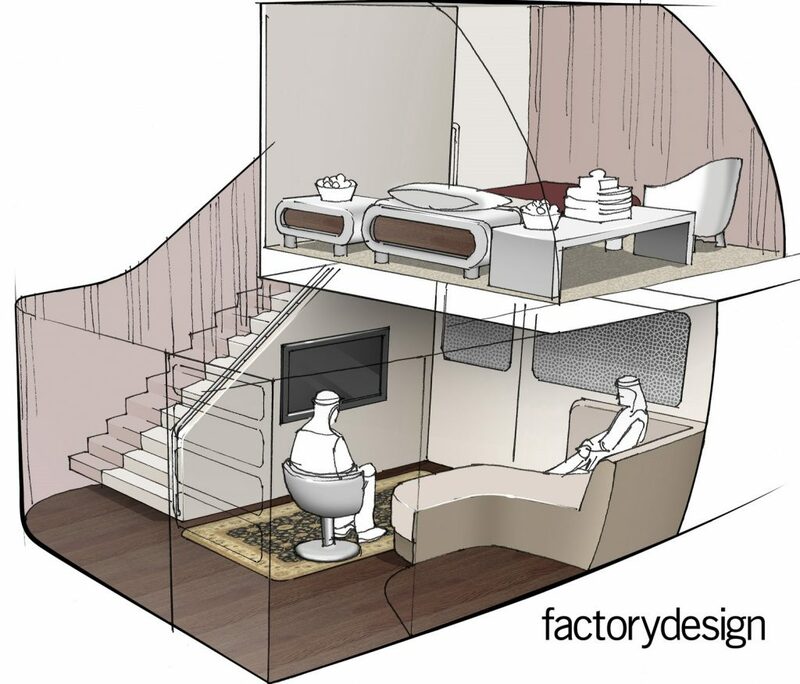 Some designers, such as Factory Design seemed to think so, and its render of what the firm predicted to be the luxury first-class suite certainly made use of the multi-level A380s. However, with many airlines opting for more economical planes, the dreamed up bi-level suite could be nothing other than fiction, or the thought of what could have been. Designed to make use of space, these first-class seats and suites have questionably been the inspiration behind urban hotels which, too, have been tasked to design amazing rooms within the confines of small areas. The beds in London’s New Road Hotel, for example, were selected by designer Nigel Howard Creative in order to make the most of the bedroom/living area. Hypnos beds were deliberately chosen and designed in such a way to eliminate the need for an in-room sofa. As a result, the rooms are cosy and feel unfamiliarly large considering that the hotel is situated a stone’s throw away from Shoreditch. Another guestroom that has opened recently, which too has utilised every square metre, is the ‘Womb Room’, which is the result of a collaboration between Cuckooz, Simba and Studio Stilton to deliver a home away from home designed around the pursuit of sleep excellence by tackling the ‘first night effect’. Created to, as the name suggests, to reflect the safe security and warmth of the womb, the pod-like room comes complete with muted lighting, soft-pink walls and a high-tech mattress. 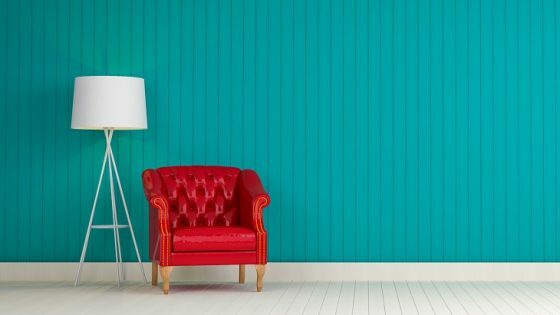 It seems as if there are many parallels to draw from between the aviation industry and the hotel design sphere, and as aviation arguably fast-becomes a new frontier in the hospitality market, one that is building hybrid cities in the skies, it is proving that suite design is not limited to statutory luxury hotels around the globe. Of course lessons can be drawn from the designers creating these spaces in the skies because of the challenging confined environment they are designing for, but the real question is whether the aviation industry also benefit from the hotels that are being designed specifically to help increase the quality of sleep and rest. 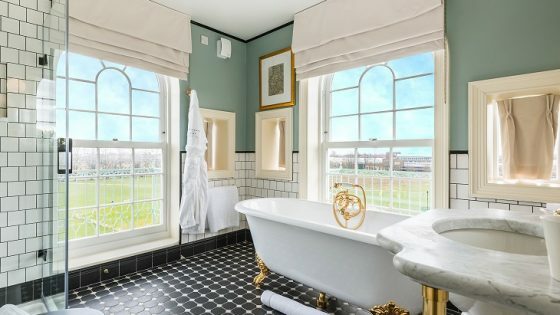 The next article in this series will investigate Rooms on the Rails, where Hotel Designs will look into how the rail industry is taking inspiration from hotels to provide luxury slow travel on a level that has never been reached before. To contribute to this series, tweet @HotelDesigns on Twitter.